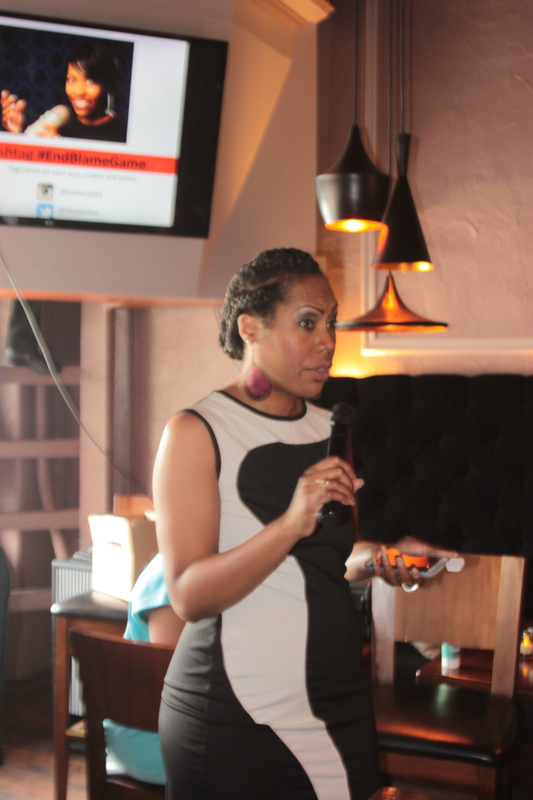 Daree explains how she came up with the book concept. We had a deep and lively discussion about relationships, coparenting and fatherhood with our simultaneous live TweetChat. 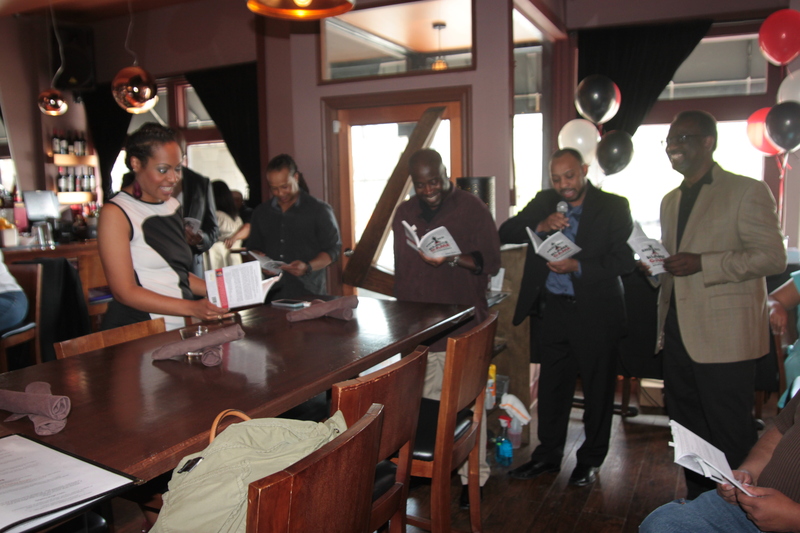 We raffled off a t-shirt, a book, and a 30-day marketing package from The Survival Radio Network. 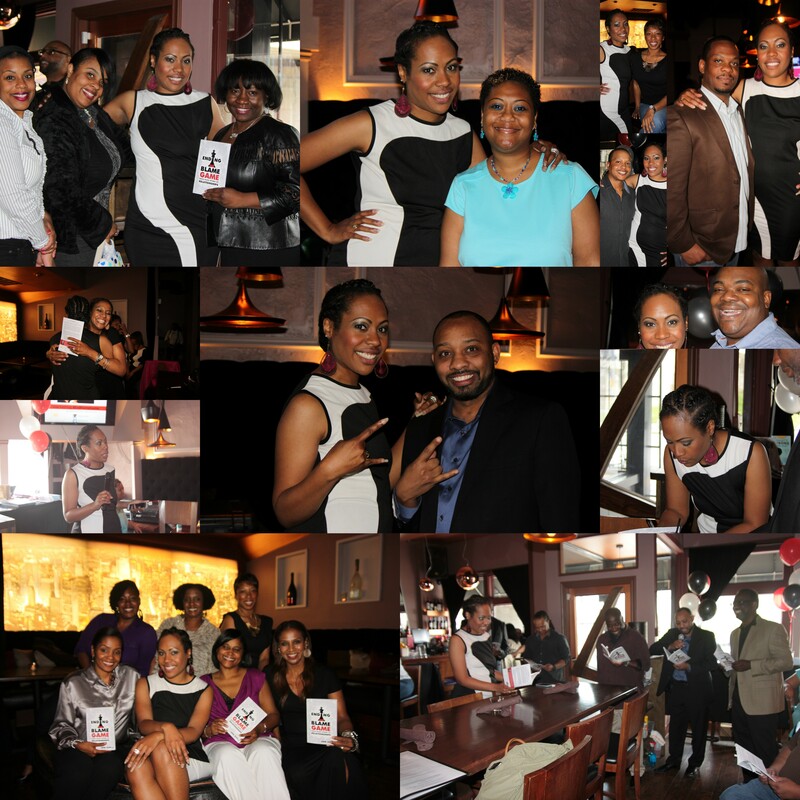 And since we held this event at a restaurant/lounge, we ate good all the while! With so much positive feedback and requests to make this a series, I may hold events on a quarterly basis depending on interest. We need to keep the dialogue going. And we need more input from single fathers. Amazon (if it shows this title as out of stock–you can still get yours from me directly (with my autograph). 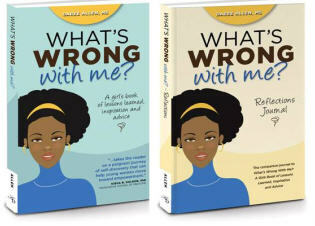 I’m excited to announce that my book What’s Wrong With Me? is available on Kindle for FREE for four days this week (April 8-11, 2013 only) as my first Kindle promotion. My ebook is available in all formats, but when I read about the benefits of KDPSelect for authors, I had to take advantage of it. (Amazon is known to frequently change their policies, and not always in favor of independent authors/publishers). Will You Help a Sista Out? Ending the Blame Game: New Book Coming Soon! In 2011, my cousin asked me if I would write a book that gives black men a voice in relationships and allow them to speak out, uninterrupted. 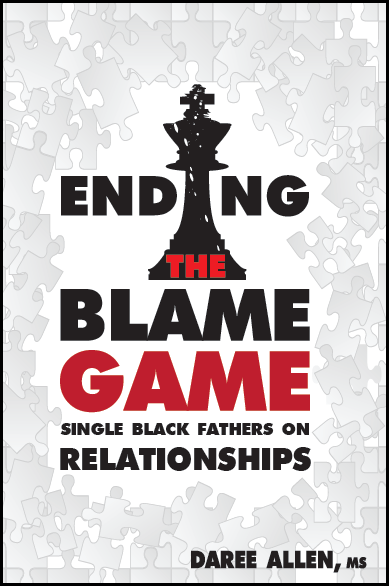 Ending the Blame Game is compiled from interviews from of educated black men who are single, divorced or remarried with one thing in common: they have experienced single fatherhood and desire to lead a loving black family, and they want to share their voice. Their stories give women insight into the minds of single black fathers who want to be a part of a cohesive family unit, and just want to tell their side of the story. Who says men don’t want to talk? Whether its infidelity, lack of father figures, child support, divorce, breakdown in communication and overall attitudes about the black male-female dynamic, they’ve got it covered. In their own voices, each single father featured shares and discusses what they perceive as obstacles to healthy, committed relationships; instilling their own confidence as men; ways that black women can be supportive of them; how to foster better communication; and how to create a nurturing environment for healthy relationships. But that’s not the end-all-be all: at the end of each chapter is an expert’s analysis, tips, and suggestions for solutions. Special thanks to all of my friends who gave me input on various book cover mock-ups last month. I’ll give you all updates and what to expect over the coming months. I like the number 23 simply because it’s my birthdate–it has nothing to do with Michael Jordan’s number or the Brothers Johnson classic song, Strawberry Letter 23. But when I am in the car around 8 am on a Mon-Thurs, I have enjoyed the Strawberry Letter portion of The Steve Harvey Morning Show on the radio–even though it seems that many of the writers of those letters have no common sense. During part of my road trip for the holidays, I listened to a couple of audiobooks. One of them was The Strawberry Letter by Shirley Strawberry, a radio vet and one of Steve’s co-hosts on his show.